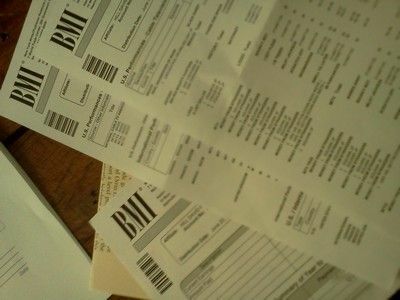 yesterday I got my my quarterly check from BMI, my PRO (Performance Rights Organization) of choice. It is getting to be more and more fun as these checks roll in and new clients show up (cable networks and shows)… there seems to be a lot of misinformation from those that are “in the game” of getting original music on cable networks…so I was thinking of doing some posts on what my experience has been like. Along with that it might be nice for you to know how you might enjoy getting your piece of performance royalties pie. There is a lot of mixed info out there, so my main points will be around what I have experienced and how I have approached getting placements so far (I am still learning). If you are a musician having these royalty checks coming in might be a nice stream of income for you to consider, and any way I can help you I will! This entry was posted on Tuesday, June 24th, 2014 at 7:26 pm and is filed under music general, new songs !. You can follow any responses to this entry through the RSS 2.0 feed. You can leave a response, or trackback from your own site. Oooooh industry secrets- do tell! Hey that would be great. It would be nice if you included your DAW of choice, VSTs, microphone choices and that kind of information! andrew – maybe if you think that would be helpful, I wouldn’t hold my gear up as “gold” status – there are a lot of folks out there with better studio set ups than me…. EVERYTHING! Signal chain, software, instruments, influences, favorite color!